I love Mexico—the language, the culture, the people, the churros. Spanish was my first language—and my parents, eager for warm weather and to keep their daughter fluent, took me to Mexico no less than a dozen times. Lately, I’ve visited Tulum and the Riviera Maya area three times in the last year. 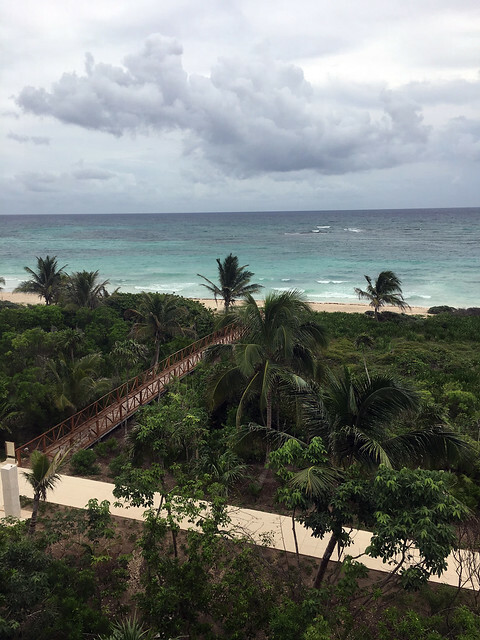 You can read my guide to Tulum here, and my review of HardRock Riviera Maya, which is known for its beach and its fitness program, here. 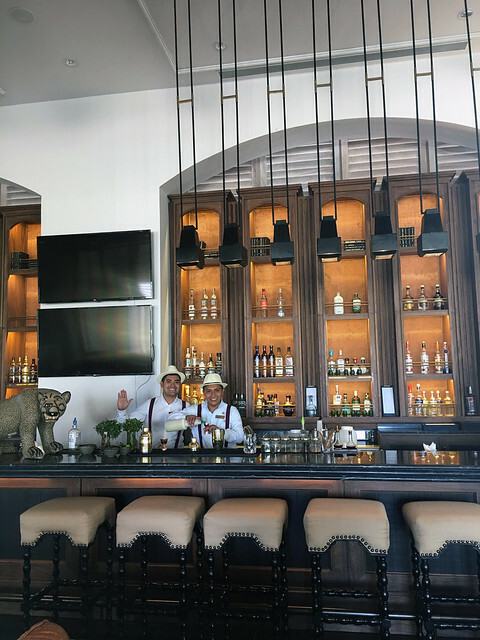 I was invited to visit UNICO 20.87, a new luxury all-inclusive concept in Riviera Maya, the beautiful jungle beaches between Cancun and Tulum. As I adore the region, I was totally game, but I was admittedly skeptical of the anomaly of “luxury” and “all-inclusive.” I feel the same way about all-inclusive resorts as I do about buffets and cruise ships: quality and quantity have an inverse relationship. As I discovered with UNICO 20.87, there is an exception to every rule. My best friend Lauren and I were shuttled from the Cancun airport by a friendly driver in a luxury SUV—sparkling water and cervezas at the ready. We were greeted by our local host, who would attend to us throughout our stay—and we picked out the signature scent that we’d prefer wafting through our room. The aesthetic at UNICO 20.87 is nothing short of stunning: it’s a Restoration Hardware meets beachside spa, with a calming color palette of white, sand, and dark wood. There are massively high ceilings and exotic copper lanterns hanging from the ceiling. 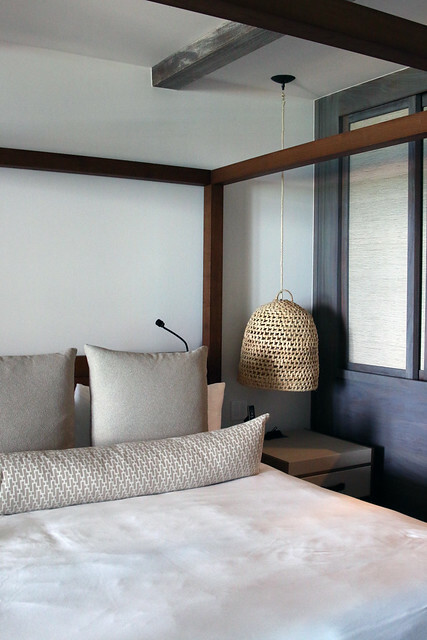 The rooms are the same color palette of wood, sand and white: with a massive, dark wooden bed with fluffy white sheets, dark wood, straw and linen details. It’s masculine, yet calming. Our room looked out over the jungle, which leads up to the edge of the beach. The best part was the massive bath tub on the patio—though it was admittedly meant more for a couple than a platonic friend duo. We were at the hotel to do four things: sleep, sun, spa, and eat. And, that we did. 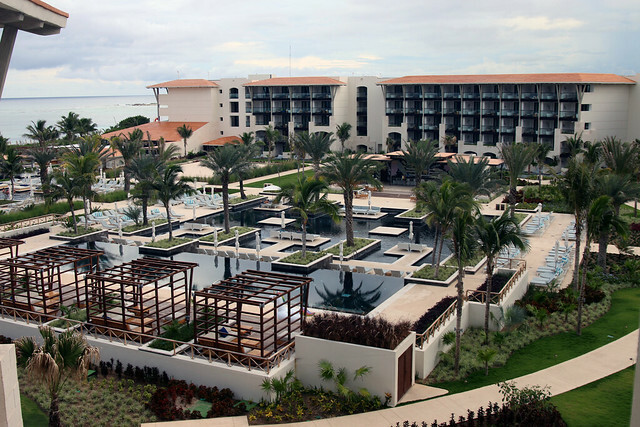 The hotel offers an array of activities, with an app for you to arrange your schedule. (Yes, they have an app!) There are fitness classes, Mezcal tastings by the pool, and crafts—it’s an elevated activity set for an elevated all-inclusive. There are also dozens of available excursions: swimming in the cenotes, swimming with the dolphins, exploring Mayan ruins, ziplining through the jungle, and more. This part of Mexico is stunning, and there’s plenty to do. But, we’ve both been fortunate that we’d already done many of these activities in our respective previous travels. The pool and spa at UNICO 20.87 were certainly our favorite parts. The architecturally stunning pool had multiple levels and parts: rectangular pools with elevated beds, floating waterfalls and more. We spent much of our days perched on a bed floating above a lofted infinity pool. For those feeling social, there is pool volleyball and a swim-up bar. For those feeling playful, there were five massive unicorn floats. Clearly, they knew I was coming. 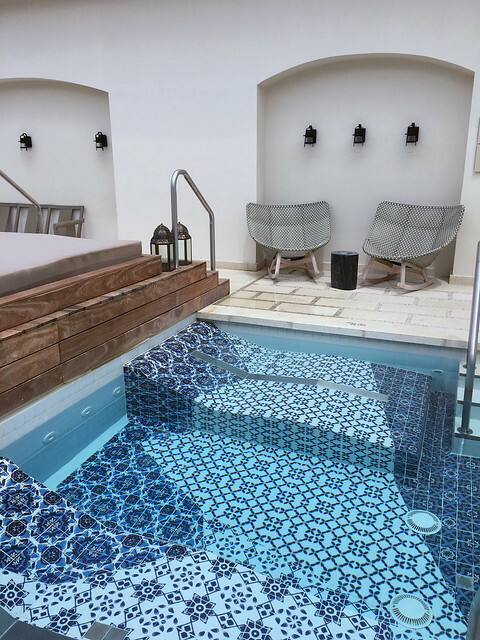 The spa is absolutely stunning, with a Instagram-worthy outdoor area filled with individual spa pools for relaxing before and after your service. My deep-tissue massage was divine, and I stayed far too long in the spa, enjoying the amenities: hot tub, cold tub, sauna, and steam room. The gym was also enormous and filled with everything a fitness buff or novice would need for a good workout. Lauren was obsessed with the gym—but I kept sleeping through morning workouts. Now, let’s talk about the food. 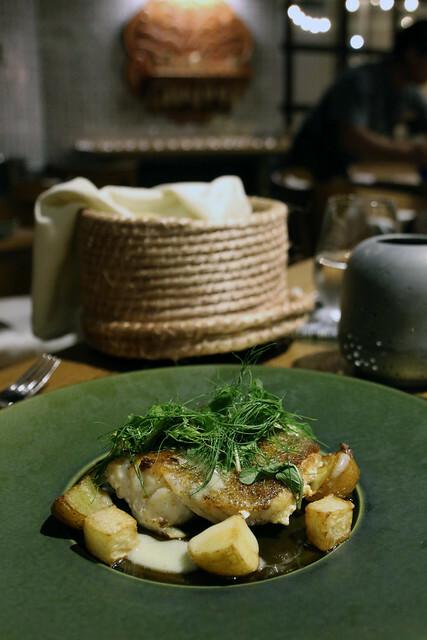 UNICO 20.87 has six distinct restaurant concepts, with three being upscale, seated restaurants, one is open all day, one is a charming café and bakery, and the final was our favorite: the bar. The three restaurants are Cueva Siete, a Mexican concept, Mura House, a sushi restaurant, and Mi Carisa, Italian restaurant. 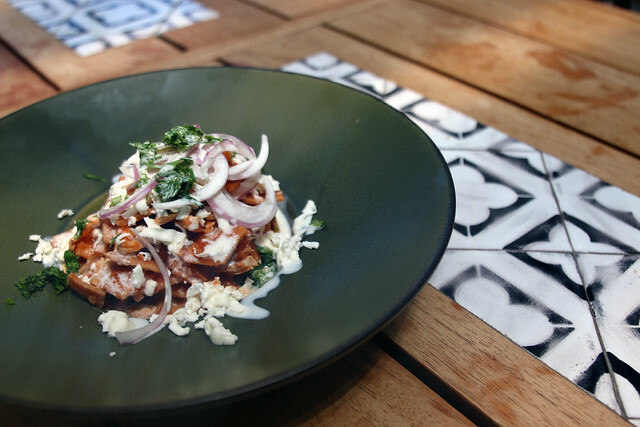 Mi Carisa served elevated, Mexican fare, like roast pork and whole-roasted local fish—we were expecting tacos, and instead we received elevated, gourmet regional fare. 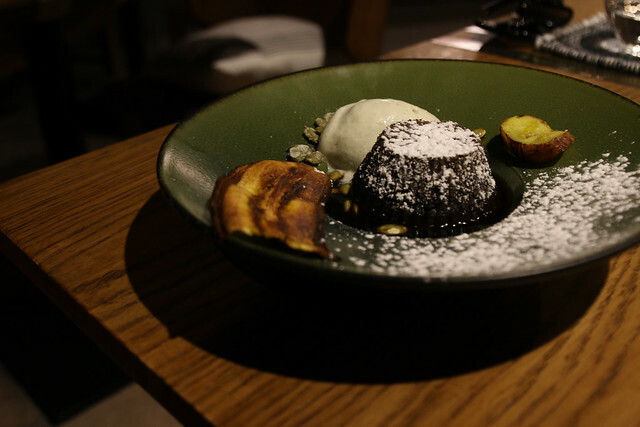 The fish and the chocolate souffle were top notch—and the wine list was surprisingly impressive for a resort. Lauren and I are both serious snobs with food and wine, so if you can convince us, you can probably please anyone. 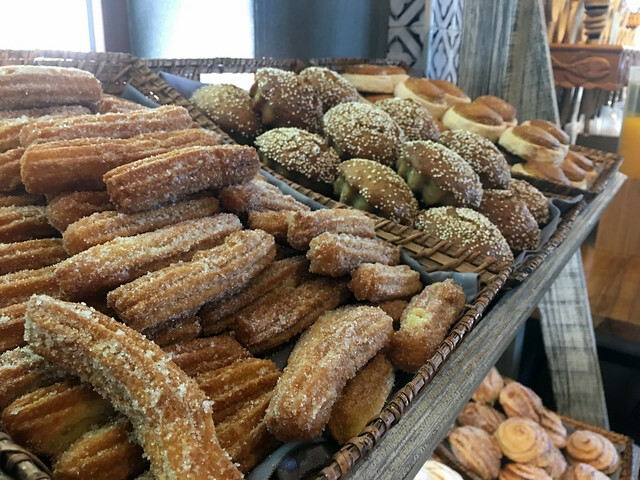 We also tried the buffet brunch—complete with churros and a whole-roasted pig. The buffet was decadent and expansive, offering something for everyone, from churros to fresh fruit to seasonal soups and tortilla soups. Tacos were also available. The Chilaquiles at brunch were some of the best I’ve ever had: crispy, creamy, and packed with flavor, this classic Mexican brunch dish hit the spot. The design of Mi Carisa, the Italian restaurant, is stunning. You exit the main property and take a white, architecturally stunning walkway elevated above water to enter the restaurant. Inside, it is buzzing with people, and has the decor of an upscale Italian restaurant: classic dark wooden tables, cozy booths, and blue-and-white toile draperies. I actually went gaga for the plates, which are a beautiful blue-and-white floral pattern. 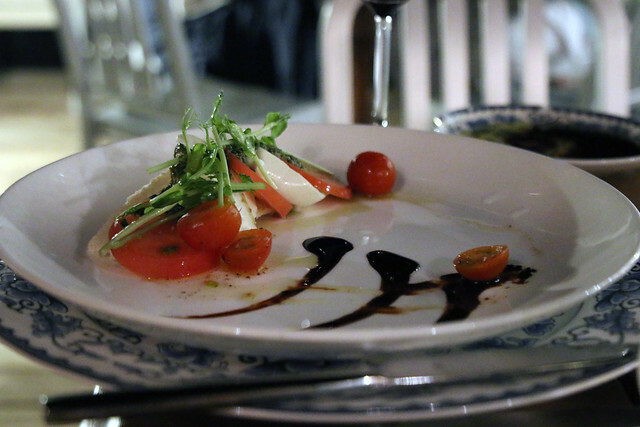 We revisited Mi Carisa twice, with the deciding factors being the plates, the wine list, and the preponderance of truffle on the menu. 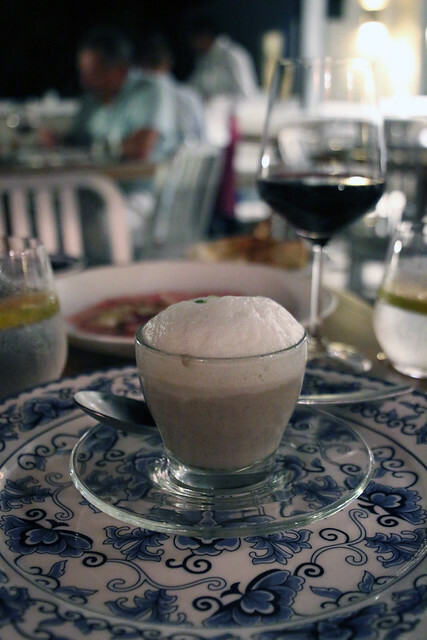 We started our meals with truffle mushroom “cappuccino” soups and fresh tomato and burrata salads, which were incredibly fresh. The cheese samplers could have been better, but I’ve known not to order cheese in Mexico for quite some time. (Unless it’s queso.) The pastas and pizzas at the restaurant. 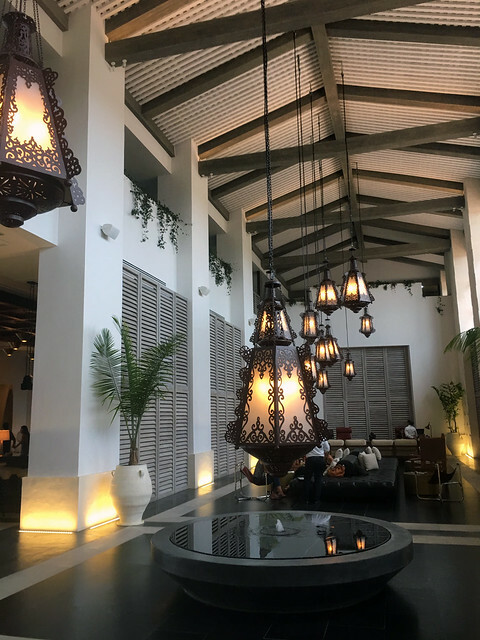 Aside from the pool and spa, our preferred location was Bar Balam, the beautiful, air-conditioned bar in the center of the hotel. 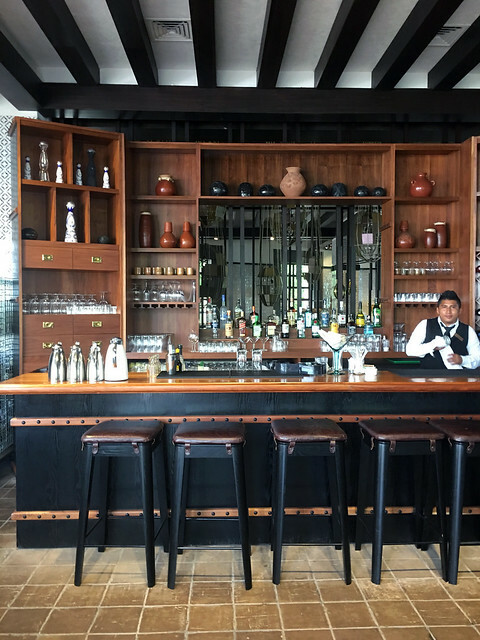 The stunning dark-wood and linen bar was manned by cheerful chaps in Panama hats and suspenders—an ensemble that would look at home in a 1920s Cuban salsa club. While I loved practicing my Spanish with the friendly bartenders, we also really loved the cocktails. The cinnamon and Mezcal and pear and tequila cocktails became our go-to orders. 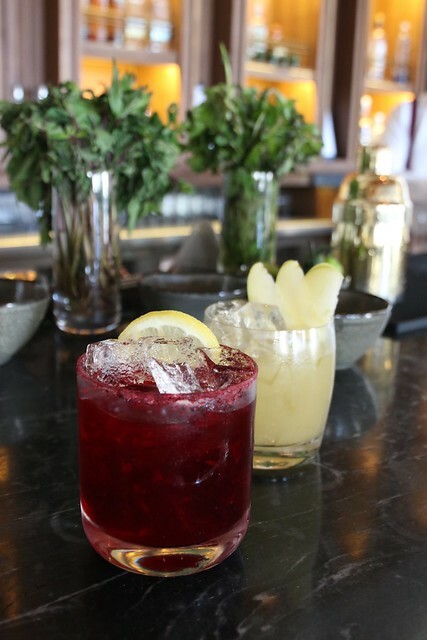 These craft cocktails paired elevated ingredients, tasted exceptionally crisp and light, and went down far too easily. The ideal tropical cocktail—without all the sugar. Saludos! Thank you to UNICO 20.87 for having us for the weekend!